I don’t usually use this space for personal entries, but sometimes, in archiving, the personal and the professional mix. While that can be a death sentence on public space and social media (if used incorrectly), there are times when the connection of the two can lead to a fascination rumination on career choices, life choices and philosophies. You can make the decision about what I have done after you complete this entry. A great many people in my life have inspired me with archiving & preservation. Starting with Laura Rooney​, Kristina Kersels and the AMIA organization, moving forward to the amazing Dennis Doros, the AMAZING Film Noir Foundation and Eddie Muller, and continuing with a list of a zillion people. These days, my amazing conversations that keep me afloat/sane are my Library Ladies, Eunice Y. Liu​, Rachel E. Beattie​ & Stacy Jyl McKenna​. Because they get stupid jokes that might start with “So three catalogers walk into a bar…” I can’t name everyone, but the issue is this: being an independent/freelance archivist is really tough. I have some really tough moments. I am trained. I am passionate. Sometimes those things don’t work well together. I’m well aware. I’m working on it. I’m also not ready to give up. I love what I do too much. And…it’s way too important. My archive partner and colleague Adam balances me out. He’s my best friend. I’ve never been able to work with someone THIS WELL before. It may be due to the fact that he & I have been through hell & back together, but that’s another story for another time. Let’s just say this: it’s one of the best working relationships I have ever found and he is amazingly supportive of all the things that I get anxious about. Something I really need right now, in this delicate time. I think there’s going to be great things that will happen from this. My gut says so. BUT….I digress. I have learned something INCREDIBLY important this week. I became an archivist to save moving image history initially. I thought (at first) that I wanted it to be something “larger,” something “big.” I think I was maybe really wrong. Like SERIOUSLY wrong. I may get more rewards from the exact opposite. This last week I began helping one of my dearest friends for the last 20+ years Margo Stern​ begin to deal with her incredibly talented father’s film collection. What I realized is that this life that I have chosen is actually meaningful to me because it really makes people happy. See, Margo’s dad isn’t doing well. See, much like 16mm educational films (something else that I focus on in my personal work), Adam and I are of the opinion that commercials are in this highly unloved/unappreciated category of film/film-making and should truly be revisited. In this way, David Stern was really a master. He had humor, he had art, he worked with the product, he SOLD it! Man. I was so hungry after some of those commercials!! I am getting untold glee out of Getting To Know David Stern from his film work (I only spoke to him on the phone once). It means getting to know his daughter better (always awesome, because Margo is one of the most awesome humans on the planet) and it means looking at a space in time on the commercial spectrum in US moving image work (he did primarily commercial work), and so many other things. 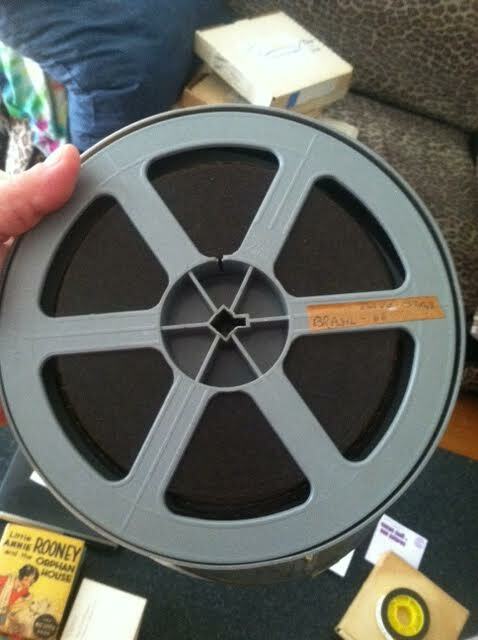 Mostly, however, it has meant documenting every little thing, quality & condition, individual reels (some were lab new!! ), and looking at a full collection basically in retrospect and finding things that are now considered complete treasures but in the 1970s were simple TV spots. I have learned about products that don’t exist anymore, underwear companies that used to play music for their employees at lunch time and how much time David Stern spent in Texas (a good chunk). However, the most amazing part of this experience so far has been what I am calling my “Unknown” experience. If you are a film nerd or archive-y geek, you are familiar with the story of the Browning film, THE UNKNOWN and how the print sat for many years in a pile of “unknown” prints simply due to its lovely but rather unfortunately title. It was a lost film…until (luckily) it was found. It was about 3am. We had completed the inventory of the single commercials and inspected and correctly documented (many of them were totally wrong) everything that was on Stern’s collection of compilations reels. 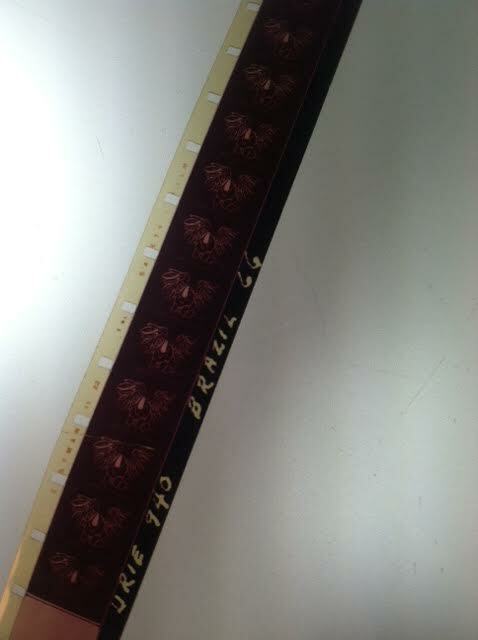 There was one more 16mm film in a grey plastic can and it was simply marked “brazil.” We had initially put it with the stack of home movies in the corner (the “bad” corner, since many of those films are in early stages of vinegar syndrome, but we will be handling that next week! Stay tuned film fans!) but in a different area, since it was not vinegar (this gets complicated- but trust me- I have a large space and plenty of places to put/separate things). We went to revisit this can since it was the same grey can as the rest of the compilation reels and the home movies were all in metal, so we were a little suspicious anyway. We opened the can and it said “Brazil 66.” Okay. So looking back now? I should have known. I did, in fact, know that there was a band called Brazil 66. But here is the thing: The Stern Family also traveled…A LOT. And the family films are actually labeled, too! And pretty well! But then we saw the soundtrack. And we knew that it couldn’t be one of the family films. So….onto my boyfriend Elmo (my Projector is an ELMO projector, I spend much time with it, thus…my boyfriend) we thread up the reel. Adam and I look at each other DUMBFOUNDED. Not only is this gorgeous footage, but it’s famous. a) industrial travel film, b) educational film that David collected, or c) ??? 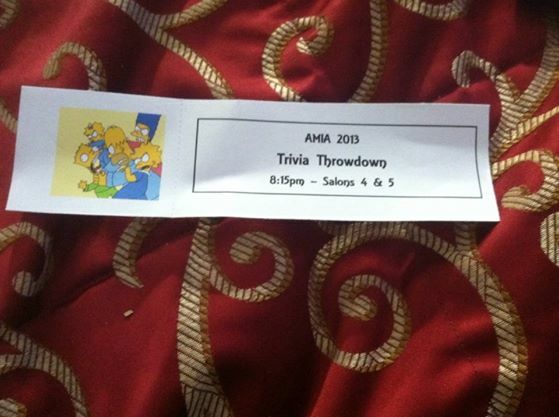 Turns out that it was d) OMGWTFTOTALLYAWESOME. 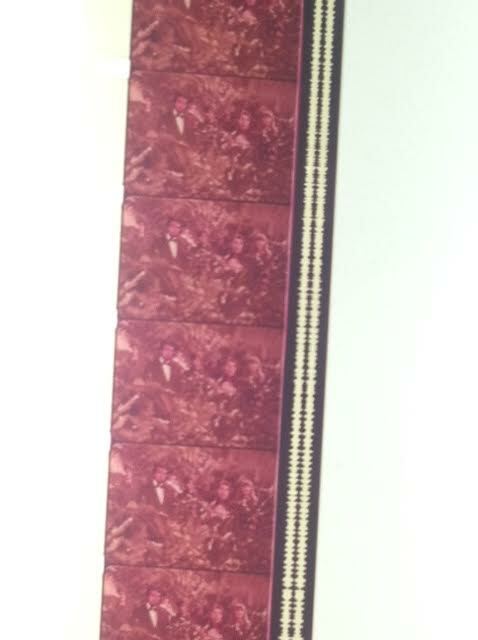 This was a reel of Sergio Mendes and Brazil 66. AS IN THE BAND. If you look close, Urie is scribed right near the Brazil 66. So, the thing about the reel is that the song on that clip? “Mas Que Nada”? That’s not the only thing on that lovely bit of 16mm. The reel is about 5-7 minutes. It’s 2 music videos. And to further prove that David Stern created that? We watched the 16mm Turtles music video that he made that is in the Stern collection. Yes, that Turtles. There are some pretty distinct similarities. 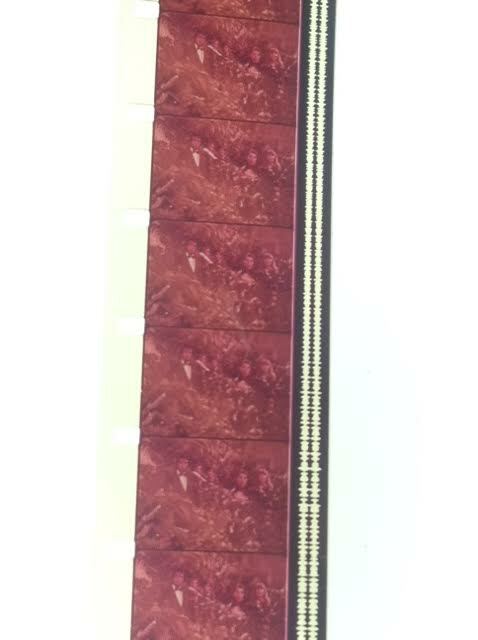 Unfortunately, the Youtube version is not that great, but once again…the 16mm looks FABULOUS. Damn, I love film. Adam has been great in being the neutral archive person for me & the one to assist while I document all of the elements in a central database so that we can sort it out and get it ready for digitizing. Our primary goal in this project is for the Stern Family to be able to enjoy David Stern’s work as we have been able to. If this sounds like it is all fun and games, it isn’t. You do have to watch the same bits and pieces of material sometimes 20 times in an hour (commercials are :30, remember, and not everything that was done for money was great and fun). But I really love my job and this is best part of it. I do not envy my wonderful friend her situation. She is one of the best people I have ever known in my life and there is no doubt in my mind that much of that comes from her dad. She’s a smart cookie, and this film work is smart as hell. Finding a balance between the personal and the professional in a situation like this is very very difficult. There is nothing I can actually say with my mouth to make this family situation better for her. What I can do is try and help her family get some peace by doing what I am trained to do: archive, preserve, appreciate. I am honored to be working on the Stern Family Collection and appreciate this opportunity. It’s a real gift. So in the mid-2000s I was in graduate school for the first time and I wrote a paper that I REALLY loved on a subject that I REALLY loved (and still do) and made the wonderful choice to submit it to a highly esteemed international conference on feminism and television called CONSOLE-ING PASSIONS and they accepted it. I had just graduated at that point and I was high on academia like a 90s raver on Ecstacy. But, as Frank Sinatra said, I was going to do it MY WAY. That probably cost me the PhD stuff that I was applying for, but looking back on the whole thing, I’m not sure if I have any regrets. I love how my life has gone and I have produced some incredible things & work in my career so far. I’m blessed. THAT SAID, this piece is my favorite piece that I did in my Critical Studies (now called Cinema and Media Studies) program at UCLA. I got me a nice MA sitting on my desk and I *loved* doing this paper. Every day was bliss. Talking to these women, getting to know them and their stories…I guess I shoulda known then that I would be some kind of oral history & documentation whore at that point, but this paper is still something that I hold with more pride than almost anything that I have ever done & the only thing that I regret is that I never submitted it for actual publication in a journal. Some of the details now are out-of-date so it is no longer a relevant paper (this is the way that wrestling goes…cie la vie!) but I submit to you that my theories- in particular the Discourse of Disgust and Viewing Transvestitism are as fresh and useful today as the time they were written back in 2005ish.